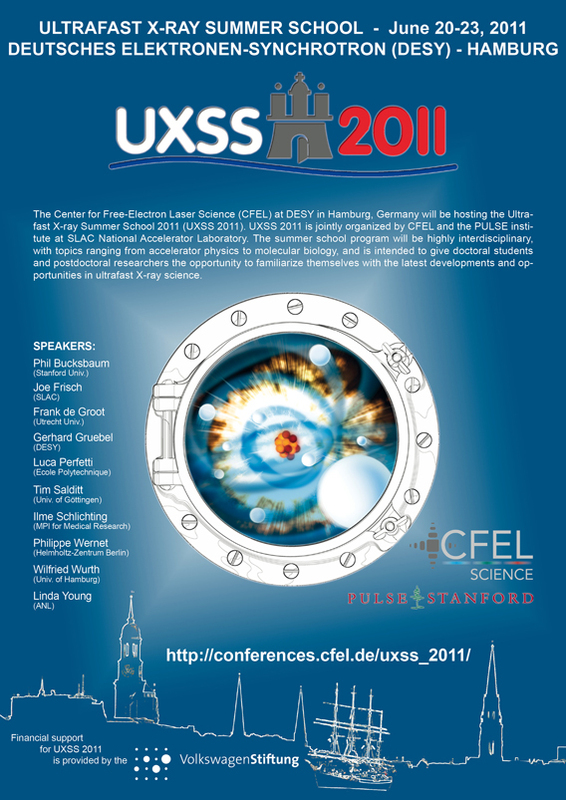 The Center for Free-Electron Laser Science (CFEL) at DESY in Hamburg, Germany will be hosting the Ultrafast X-ray Summer School 2011 (UXSS 2011). 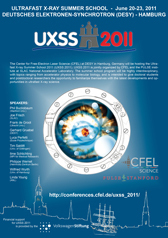 UXSS 2011 is jointly organized by CFEL and the PULSE institute at SLAC National Accelerator Laboratory. The summer school program will be highly interdisciplinary, with topics ranging from accelerator physics to molecular biology, and is intended to give doctoral students and postdoctoral researchers the opportunity to familiarize themselves with the latest developments and opportunities in ultrafast X-ray science. Please note that the number of summer school participants will be limited. In order to facilitate the selection of participants, we are asking applicants to provide a short text describing their educational and scientific background and their motivation for applying for participation in UXSS 2011. The application deadline is March 15, 2011. Accepted applicants will be asked to pay a registration fee in the amount of 100 EUR. Financial support for UXSS 2011 is provided by the VolkswagenStiftung.